This year has absolutely flown! 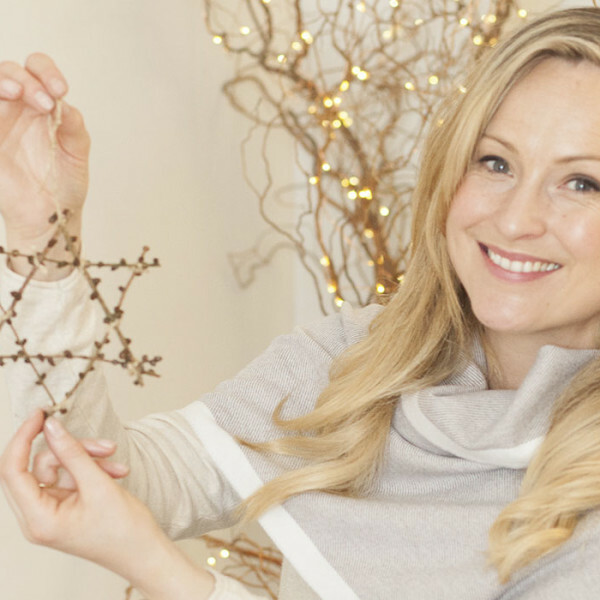 It seems like yesterday that I was thinking about sparkly lights, my annual colour scheme for my Christmas decorations, and getting excited about the wonderful fun of Christmas gifting. I love gathering clues throughout the year, taking note of what the people in my life like and collecting gifts which will hopefully make their faces light up with joy. 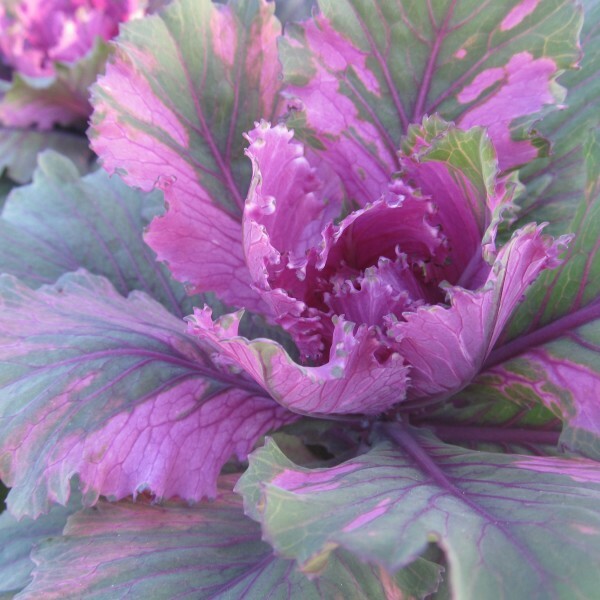 When it comes to gardeners or garden lovers, it seems we would be fairly simple to buy us a gift. Surely a spade, a trowel or a plant will go down well, or perhaps a garden knife? Beware! Most gardeners will have their firm favourites when it comes to tools. 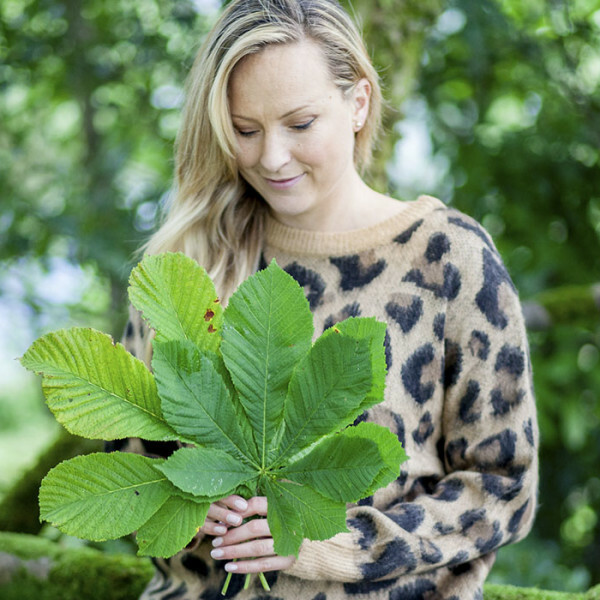 Many of us have our go-to brands who we have learned to love over the years and have very specific likes and dislikes…and don’t get me started on plants! I think it’s safe to say that one of our favourite things to do as gardeners and designers is to spend time choosing plants and putting together a pleasing scheme in our spaces. So what can you buy that person in your life who is garden mad? Well, maybe this year look beyond the expected and got for something inspired by the beauty of our gardens and nature and get that really special something. Here are some of my favourite gifts for Christmas 2018. The gorgeous little GOAL daisy pendant came from a design collaboration between the talented Martina Hamilton and myself for the charity GOAL. As part of the ‘What on Earth’ art project which saw 100 artists create customised globes for auction all around Ireland, we created a globe called ‘Precious Matter’ which featured custom designed sterling silver daisies. 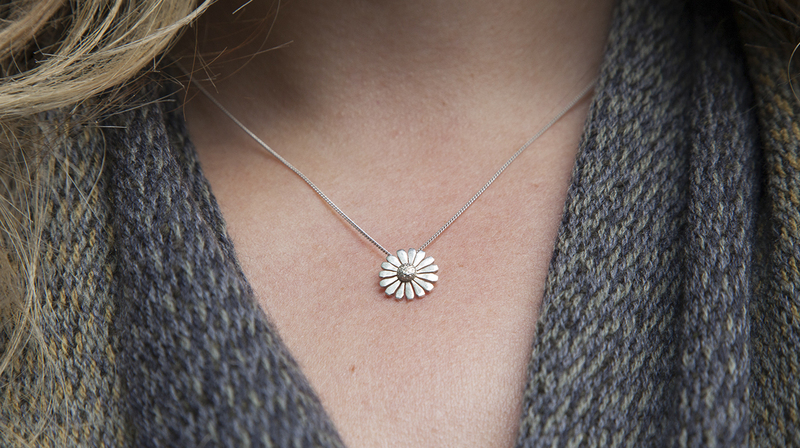 Following the success of this wonderful project we decided the daisy would become a beautiful and delicate daisy necklace which will raise funds for GOAL and the valuable work they do around the world. With the GOAL daisy you can wear a little bit of nature on your neck and feel good about the cause too with all proceeds going to GOAL global. I have been ogling the Acai range of trousers on instagram for a while now. I always wondered how is it that no-one has come up with trousers for outdoors and the garden which are properly waterproof and also look great? Well, Acai activewear have! These trousers are absolutely gorgeous and are designed to look like proper skinny trousers while being super functional for outdoor use. The trousers are made with an innovative 4-way stretch fabric that moulds to your curves and body shape without any restriction of movement and are made from hardwearing nylon material that is snag proof and resistant to high abrasions, making it impervious to muddy paws, coarse brambles or the zips, buckles and sharp edges of your outdoor tools and equipment. I have destroyed endless trousers in my gardening adventures and am so ready to try these! 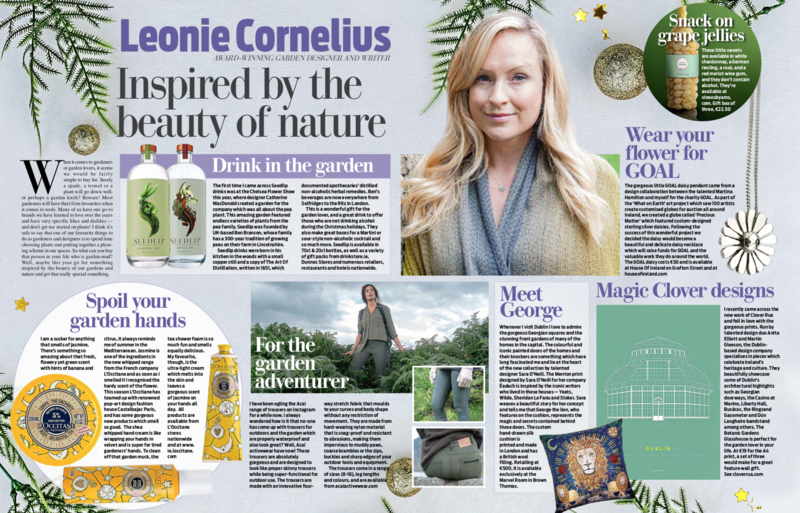 The first time I came across Seedlips drinks was at Chelsea Flowers show this year where the designer Catherine MacDonald created a garden for the company which was all about the pea plant. This amazing garden was centred around the story of the pea plant and featured endless varieties of plants form the pea family. The company who sponsored and created the garden with Catherine was ‘Seedlips’ which was founded by UK based Ben Branson, whose family has a 300 year tradition of growing peas on their farm in Lincolnshire. 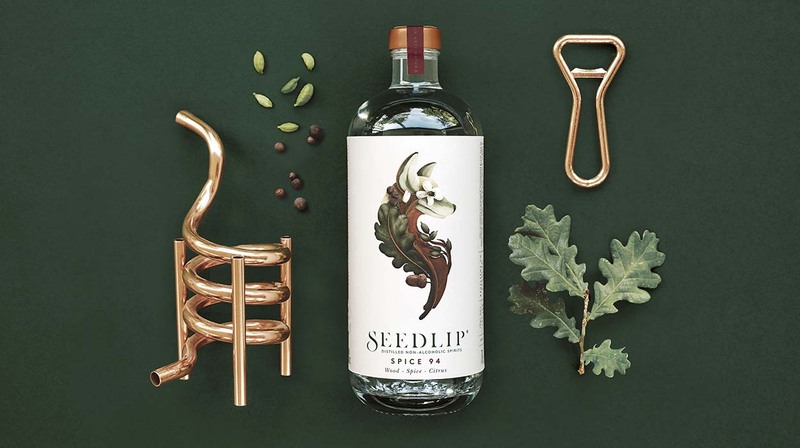 Seedlips drinks were born in his kitchen in the woods with a small copper still and with a copy of The Art of Distillation written in 1651 which documented apothecaries’ distilled non-alcoholic herbal remedies and are now everywhere from Selfridges to the Ritz in London. This is a wonderful gift for the garden lover, and a great drink to offer those who for whatever reason are not drinking during the Christmas holidays. For all those pregnant ladies out there, the designated drivers and indeed, anyone who just fancies a gorgeous cocktail without the hangover, these drinks are great bases for a martini or sour style non-alcoholic cocktails and so much more. My favourite: The Seedlip Garden 108 aims to capture the essence of the English countryside with sophisticated top notes of the handpicked peas & hay from the founder’s family farm with a complex herbal base character of spearmint, rosemary & thyme. I am a sucker for anything that smells of jasmine. There’s something so amazing about that fresh, flowery yet green scent with hints of banana and citrus, it always reminds me of Summertime in the Mediterranean. Jasmine is one of the ingredients in the new whipped range from the French company L’Occitane and as soon as I smelled it I recognised the hardy scent of the flower. 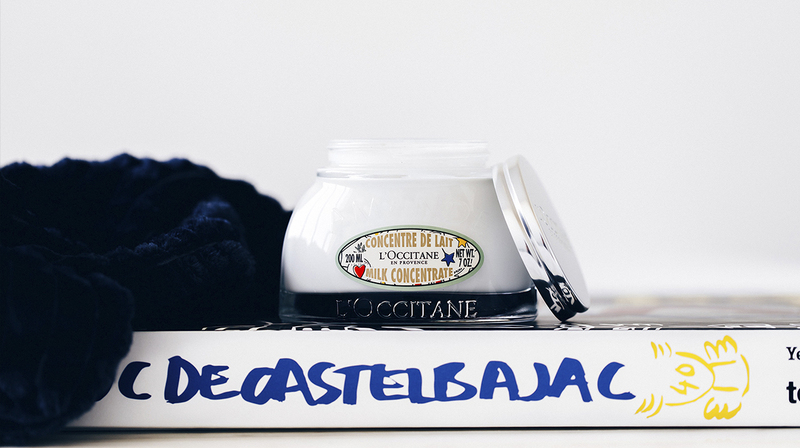 This season L’Occitane has teamed up with renowned pop-art design fashion house, Castelbajac Paris and has some gorgeous new products which smell so good. The Shea whipped hand cream is like wrapping your hands in velvet and is super for tired gardeners hands. To clean off that garden muck the tea shower foam is so much fun and smells equally delicious. My favourite though is the ultra light cream which melts into the skin and leaves a gorgeous scent of jasmine on your skin all day. The Vinoos company came about when two creative Dutch creatives with a background in arts and finance came together and brainstormed on creating a business together. Founders Mireille Reuling and Marleen Teters both agreed that they wanted to create a product which brought together art, storytelling and social responsibility. 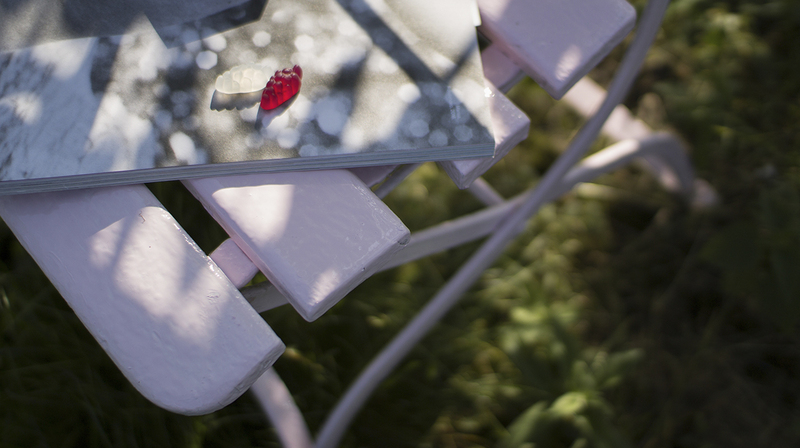 Based on an initial conceptual art concept which centred on ‘Wine as Art’ developed at the Academy of Arts in Amsterdam by Mireille Reuling, the duo developed the Real wine gum product which aims to capture the fun and communal spirit of wine in a delicious wine gum treat. These gorgeous little sweets are available in white Chardonnay, a German Riesling, a Rosé, and a red Merlot WINE gum and don’t contain alcohol. They’re also suitable for vegans and vegetarians and will look gorgeous on any Christmas table. There are also plenty of gift packets which are beautifully packages and make a wonderful gift for the wine lover. I recently came across the new work of Clover Rua on Instagram and fell in love with the gorgeous and colourful prints. Run by talented design due Anita Elliott and Martin Gleeson, who have a background in Textiles and Graphic Design, the Dublin based design company specialises in designed pieces which celebrate Ireland’s heritage and culture. The company, who have been listed amongst Condé Nast Traveller’s Best Irish Souvenirs, has made a name for themselves for creating truly unique representations of Dublin’s architectural and scenic treasures, beautifully showcasing some of the city’s architectural highlights such as Georgian doorways, the casino at Marino, Liberty hall, Busaras, The Ringsend Gasometer, Dún Laoghaire Bandstand, Dublin Bridges Print and many more. 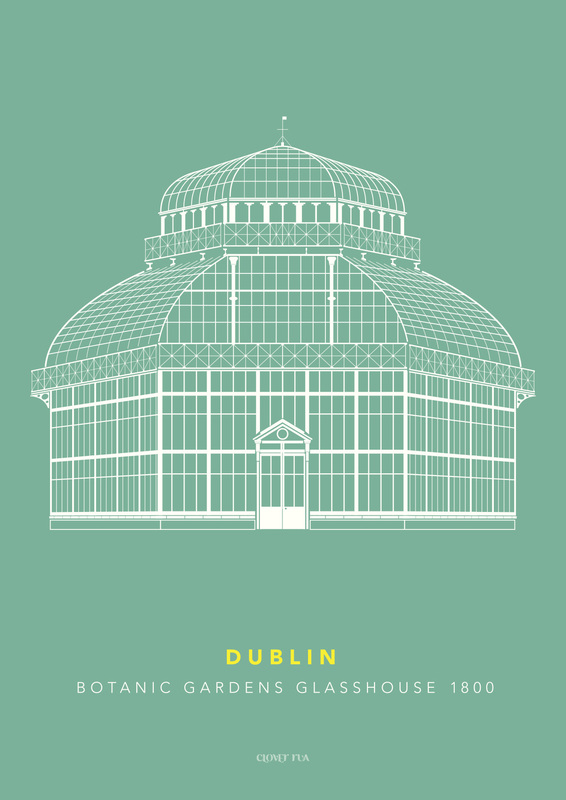 While the Irish Wallflowers print should really be my favourite it’s the The Botanic Gardens Glasshouse print which I love most- the striking modern print absolutely perfect for the garden lover in your life. At only €19 for the A4 print, a set of three would make for a great feature wall gift! Whenever I visit Dublin I love to admire the gorgeous Georgian Squares of Dublin and the stunning front gardens of many of the homes in the capital. The colourful and iconic painted doors of the homes and their knockers are something which have long fascinated me and lie at the heart of the new collection by talented designer Sara O’Neill. The Merrion print designed by Sara O’Neill for her company Éadach is inspired by the iconic writers who lived in these houses-Yeats, Wilde, Sheridan Le Fanu and Stoker. 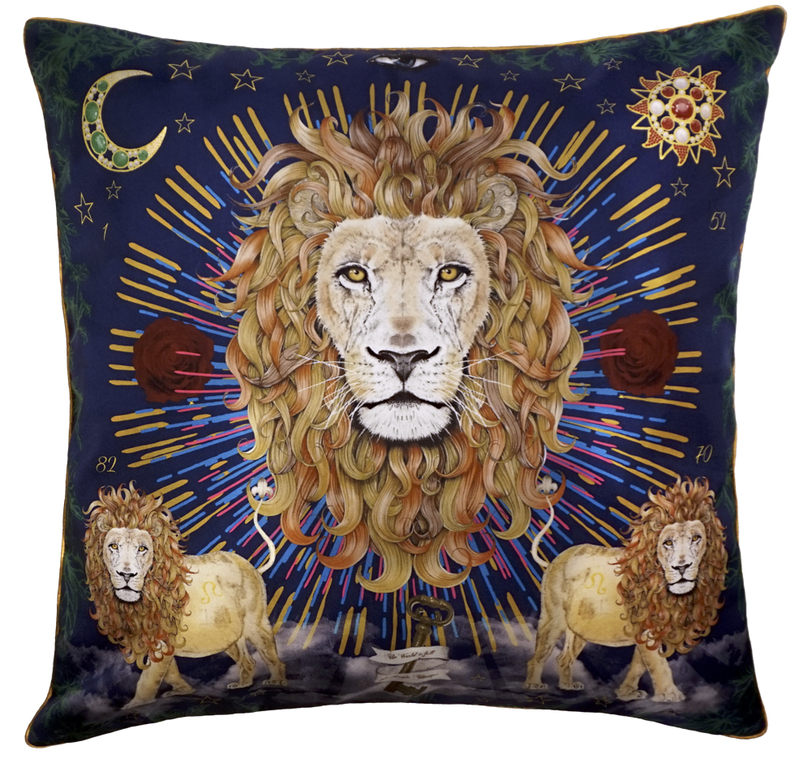 Sara weaves a beautiful story for her concept and tells me that the Lion which features on the gorgeous cushion represents the magic and secrets contained behind those brightly coloured doors. While creating this stunning image she thought about what would happen if the majestic brass lion, the door knocker…”proudly announcing and observing everyone who entered the elegant residence year upon year..became enchanted? Came to life?” I love the magic behind the story and can just imagine George with his lustrous, sparkling mane prowling through the streets of Dublin and making his way to Brown Thomas, where he now “makes himself at home here amongst the gorgeous silks, the sumptuous velvets, the beautifully crafted shoes, the sparkling diamonds and opulent pearls.” A beautiful story and a gorgeous piece of art for your home. A custom hand-drawn silk cushion featuring George is printed and made in London and has a British wool filling. Retailing at €500 it is available exclusively at the Marvel Room Brown Thomas.